Taylor, who recorded and toured with the Stones between 1969 and 1974, joined the group as a fresh-faced kid of 19 as the replacement for Stones’ founder Brian Jones, who was dismissed from the group and drowned in his swimming pool shortly thereafter, at age 27. Taylor took the stage only days after Brian’s death at what turned out to be a massive free tribute concert to Jones, at Hyde Park on July 5 (see my related essay on that concert and transitional period of Stones history at these pages). But he was certainly no stranger to the stage, having cut his teeth with John Mayall’s Bluesbreakers as a teenager (at age 16, the youngster asked Mayall if he could fill in for an absent Eric Clapton when the latter failed to appear for a show; a surprised but increasingly desperate Mayall said yes, and Taylor even went onstage with Clapton’s guitar). Mayall’s roots supergroup was a breeding/proving ground for several of the greatest British blues-rock guitarists of the day, including Clapton, Peter Green (another underrated virtuoso), and Taylor, who was invited to take Green’s spot when Peter left to form Fleetwood Mac. Taking pointers? 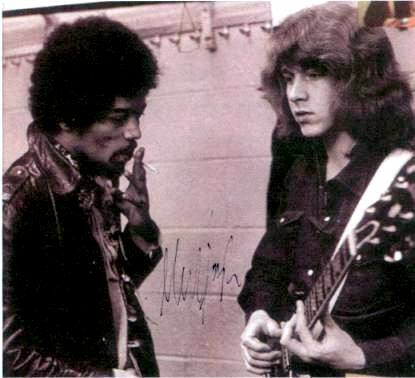 Mick Taylor and some guy named Jimi hang backstage at Madison Square Garden at the Stones show, 1969. When Jones died, Stones singer Mick Jagger rang up Mayall to ask about suitable replacements in general, and Taylor in particular. Mayall gave his blessing and suggested the Stones check out the quiet young man who spoke so eloquently with his instrument. As the story goes, Taylor was invited to contribute some guitar parts to the nearly-finished “Let It Bleed” album. He didn’t know it then, but Taylor was auditioning in the recording studio to be the newest Stone. He passed with flying colors. The two Micks at an outdoor press conference announcing the newest Stone, July 1969. 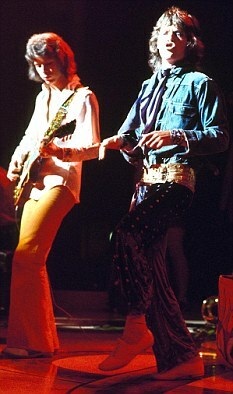 For the next five years, Taylor’s virtuosic lead playing and sensational soloing skills gave the Stones an elegant dimension and extra weapon in their arsenal; a musical sophistication that stood in stark contrast, yet blended splendidly, with Keith Richards’s bedrock rhythm guitar and knack for knocking out indelible riffs. Taylor’s finest recorded moments include the sweeping, Latin-flavored instrumental portion of “Can’t You Hear Me Knocking”; his tasty Nashville-style licks on the countri-fried, “Dead Flowers”; his knotty lead work in tandem with Mick Jagger on rhythm guitar (yes, you read that right) on “Sway” (all from ’71’s “Sticky Fingers”); and his soaring snowstorm on the elegiac “Winter” and wah-wah workout on “Doo Doo Doo Doo Doo (Heartbreaker)” (both from ’73’s “Goats Head Soup”). Lastly, there is his gorgeous swan song solo on “Time Waits For No One” (from ’74’s “It’s Only Rock ‘n’ Roll”). In the midst of all this, of course, is his densely inspired meshing with Keith on “Exile,” where he reined in the solos and wove himself into the fabric of songs like “Tumbling Dice” (that’s MT on slide guitar). It goes like this: MT and Keith Richards backstage, 1972. 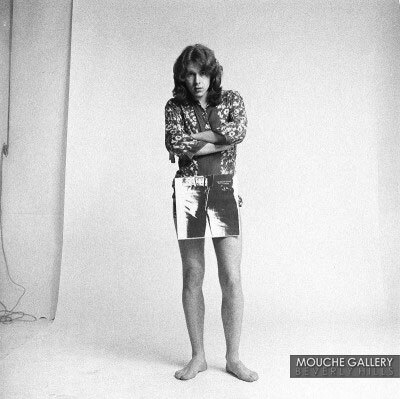 It beats a barrel: Mick T. and his gams, “Sticky Fingers” promotional photo shoot, 1971. To all who hear it, the result is obvious: Taylor’s majestic, melancholy solo — reportedly done in one stunning, perfect take — propelled an otherwise very good song toward transcendence. Yet when he saw the album credits to “It’s Only Rock ‘n’ Roll,” the song’s authors were listed (as usual) as Jagger-Richards. Soon thereafter, Taylor made his mind up. He told Jagger he was leaving the group. Did ya hear the one about the farmer’s daughter? 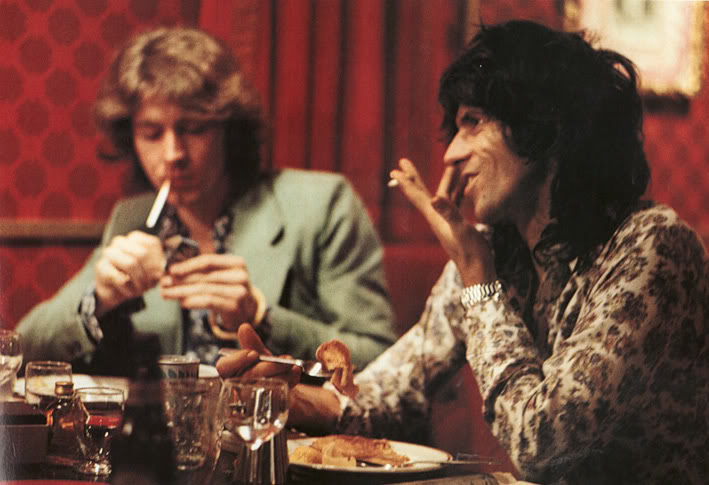 The two Micks and keith share a laugh and a light moment over breakfast on the road, 1973. Although Taylor’s denied, over the years, that bitterness or resentment had anything to do with his decision to quit — he’s often cited the need to shed the band’s drug-dependent lifestyle which had ensnared him as well — it’s clear Taylor felt frustrated, at the very least. In the ensuing decades, although far away from the bright spotlight he basked in with the Stones, Taylor has gone on to make solo albums, record with ex-Cream bassist Jack Bruce and jazz man Herbie Mann, and tour internationally. He remains beloved by fans who know his true place in the pantheon of rock guitar greats. And in 2012 and 2013, hell actually, improbably froze over when Mick Taylor re-joined the Stones as a special guest on their 50th Anniversary world tour. Stones fans (myself included) rejoiced, and hoped for even more. 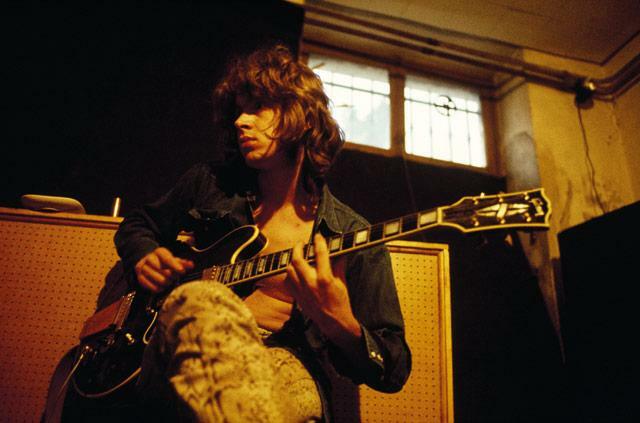 To pay tribute to Mick Taylor, I’ve included a new piece about what’s now referred to as “The Mick Taylor era” that I’ve just published at the Collectors Music Reviews website and blog. While writing this piece, it struck me that, for all of the seminal Stones albums Taylor lent his exquisite guitar to, it was really through the wonderful subterranean world of live bootleg LPs that I discovered the depth and breadth of Taylor’s brilliance. Hearing those live documents for the first time opened the door (or Pandora’s Box) and enabled me to truly appreciate, and fully understand, what Taylor’s place and presence in the Stones meant. The band, and his playing in particular on those incredible recordings from 1972 and ’73 — “A Brussels Affair,” “Nasty Music,” “Welcome To New York,” “Philadelphia Special” to name but a few — shook up what I thought I had known and heard of the Stones. With him, they were an utterly different, dazzling beast. 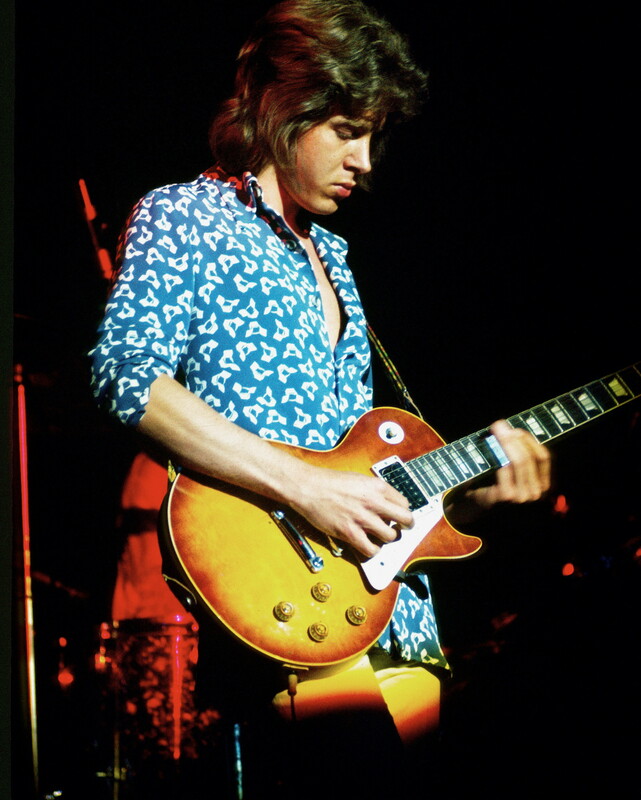 As great and essential as he was on the studio albums, on stage is where Mick Taylor really shone and pushed the Stones to new stratospheric heights as a live act. You can hear it even on the officially released 1969 tour souvenir, “Get Yer Ya Ya’s Out,” where he takes the second solo on “Sympathy For The Devil” at the 5:18 mark (Keith takes the first one). 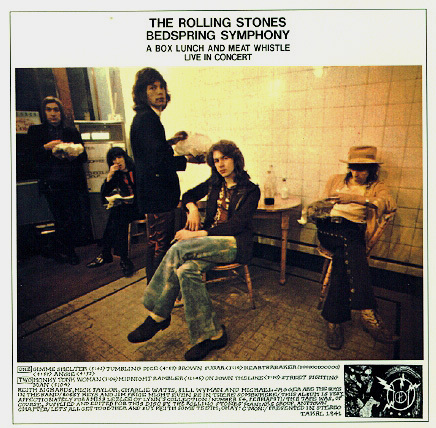 Bedspring Symphony: the full-color cover version of one of the best Mick Taylor-centric Stones live bootleg recordings of all-time. An early obsession of mine. I remember being a kid thinking, “Hey, that’s not Keith Richards doing that.” No disrespect to Keith, who is one of my two or three favorite guitarists ever, but just as I don’t think Taylor would ever come up with the opening riff to “Jumpin’ Jack Flash” or “Brown Sugar” (as Keith did), I just don’t imagine Richards pouring out the kind of mercurial, liquid fire that flows so easily, so effortlessly, from Taylor’s fingertips. What town are we in, anyway? Breakfast, Stones-style. For proof of what Taylor brought to the band’s live repertoire, just watch “Ladies & Gentlemen,” the DVD of the ’72 “Exile On Main St.” tour that finally saw official release a few years ago (after decades of poorly dubbed VHS copies had circulated among fans). The bottom line is this: Everybody in a band has their strengths, weaknesses, and the role that they play. And Mick Taylor’s role was, simply, to be the greatest lead guitar god that the Rolling Stones ever had, during the greatest creative era they ever had. Happy Birthday to you, Mr. T.
STREET THUG STONES: Back in the ’70s, the legendary illustrator William Stout did the cover art for many iconic bootleg LPs (thus making them even more iconic). 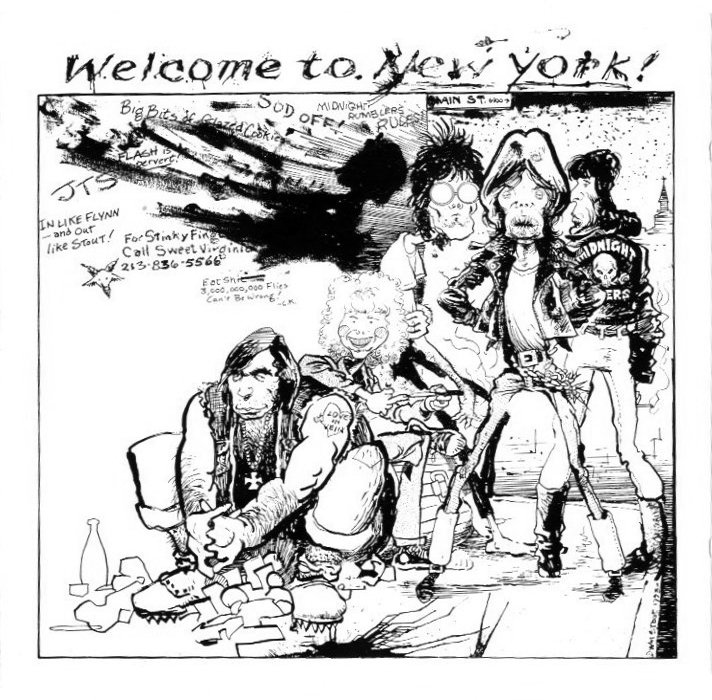 One of my faves is “Welcome To New York,” which captured Taylor and the Stones at Madison Square Garden on Mick Jagger’s birthday, July 26, 1972. As incredible as it looks, folks! CD 1 (68:00): Introduction, Brown Sugar, Gimme Shelter, Happy, Tumbling Dice, Star Star, Dancing With Mr. D, Angie, You Can’t Always Get What You Want, Midnight Rambler, Honky Tonk Women, All Down The Line, Rip This Joint, Jumping Jack Flash, Street Fighting Man. The legendary Brussels shows were still two weeks away when the Stones rolled into Ernest-Merck-Halle in Hamburg, West Germany for the first of two concerts on the afternoon and evening of October 2, 1973. Maybe rolled isn’t quite the word – steamrolled is more like it. As most of us who’ve heard the best boots of the 1973 European tour can attest, this may have been the fiercest touring incarnation of the Rolling Stones in their 50-year history. Supremely honed and hard-hitting from a previous year spent touring the United States (not to mention a few scattered U.S. shows and an Australian tour during the early months of ‘73), the Stones were a blazing unit by the time they hit the road that autumn to promote their new “Goats Head Soup” album, released at the end of August 1973. Conventional wisdom has long consigned that LP to also-ran status and deemed it a lackluster follow-up to the landmark “Exile On Main St.” double album that snapped the Stones’ string of consecutive classics. True, the Stones themselves have acknowledged the exhaustion that set in following their ‘72 tour (not to mention the de-compressing, de-briefing, and partying that we can reasonably expect took place in Jamaica during much of the “Goats Head” writing and recording sessions). But to me, “Goats Head Soup” has always been an underrated album; then and now it makes for a valuable portrait that captures where the Stones were at musically, psychologically, and emotionally at the time. 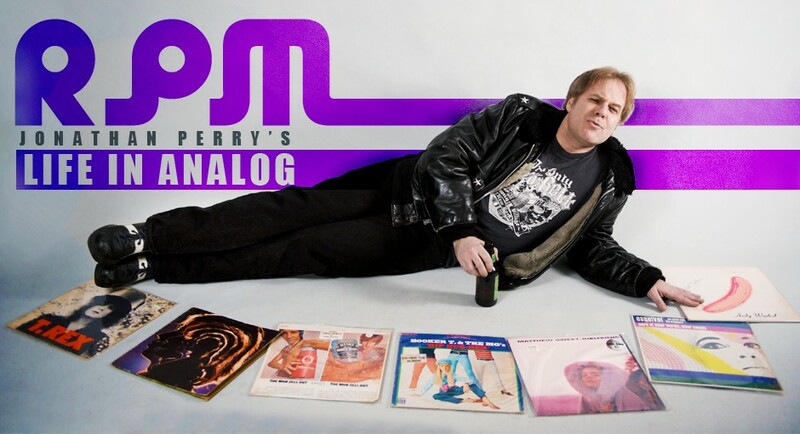 It was producer Jimmy Miller’s final album with the band he helped redefine and shape, before drug addiction would send him into a downward spiral for the remainder of the ’70s (one could say the same about Keith Richards). And it contains some of the band’s most gorgeously introspective ballads and wistfully lyrical performances, as well as a pretty fair rocker or three. Besides the monster radio smash, “Angie,” of course, there are poignant, pining moments such as “Winter,” “100 Years Ago,” and Keith Richards’s post-nod lament/letter to Anita Pallenberg, “Coming Down Again,” plus the urban drama tableau of “Doo Doo Doo Doo Doo (Heartbreaker),” which — thanks to longtime keyboardist/sideman Billy Preston — remains one of the funkiest slabs of streetwise Stones ever put to recording tape. Finally, let’s face it: “Goats Head” sounds better and better with every disposable tour placeholder the Stones have put out these past 20 or so years. 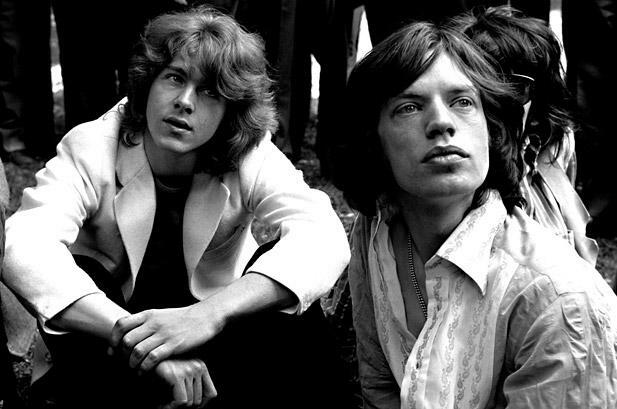 It is ironic, then, that the same period that produced the ”Mick Taylor era”’s most inward-gazing, self-probing Stones album also coincided with the band’s most musically ferocious tour (Taylor’s last as a Stone). What’s perhaps most surprising, considering the relative critical letdown of “Goats Head Soup,” is how strongly the “Goats Head” material stood up on stage alongside the classics. It also held its own with the fistful of other still-newish “Exile” numbers that, barely a year or so old themselves, had quickly established themselves as set list staples (“Happy”; “Tumbling Dice”; “All Down The Line”; “Rip This Joint”). 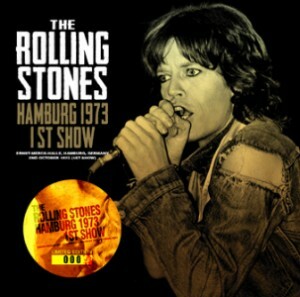 For those of us who’ve hungered to hear more than the usual two or three specimens from this truly special era, “Hamburg 1973 1st Show,” a new no-label release with simple packaging (two-sided color insert and tray card with tour-accurate artwork), does a good job of showing what the Stones were bringing to the stage almost every night. Although it is, alas, just a good-to-very-good audience recording and light years away, in terms of sound quality, from essential ‘73 documents like “A Brussels Affair” (and all of its variants), “Nasty Music/Songs,” “Bedspring Symphony” and “The Jean-Clarke Mammorial Sonic Barbecue,” this title is nevertheless a worthy, if not exactly essential, second-tier addition to the Stones unofficial ‘73 canon. As far as I can tell, “Hamburg” marks only the first time that this particular show has been released on silver disc (only one other release, a no label CD-R, “Afternoon in Hamburg,” is known to exist). Although the fidelity leaves something to be desired, especially in contrast to other high quality soundboards of, say, the Brussels and Wembley shows, the band’s top-notch performance punches through the mediocrity of the tape. From there, the Stones dive right back into the back-to-back stage showpieces of “You Can’t Always Get What You Want” and “Midnight Rambler,” both of which greatly benefit from the extended dramatic treatments of this era. Since we don’t get to see frontman Mick Jagger’s visual inhabitation of those numbers on disc, the epic splendor of those songs, in no small part, has to do with lead guitarist Mick Taylor’s tffortlessly sublime solo work. Here, he and fellow guitarist Keith Richards sound locked in from the start, and the darkly magical magnificence of their guitar interplay is on full display, starting with an epic reading of the second song of the night, “Gimme Shelter.” Richards sketches and supplies the song’s architectural skeleton and musculature: its heart, guts, and soul. Taylor’s cerebral, surgically precise playing, meanwhile – all connecting-tissue filigrees, sensory accents, and intricately routed solos – sends the lifeblood pumping through its circulatory system. Jagger’s voice here is fairly distant and echo-y in the hall, although relatively front and center in the mix (he consistently sang with gusto on this tour, as if to match the decibel level being wrought by the band). But longtime Stones boot listeners (like me) who reasonably expect, and are used to listening through, the inherent sonic limitations imposed by an audience recording won’t likely to be too terribly put off by them here, given the tour, the tracks, and the sheer dynamism of this concert. And as sometimes happens (with me, at least) while listening to a solid, if not spectacular, audience tape, once you tune your ears and perspective to the audio spectrum and dynamics on display, the recording increasingly sounds “normal.” This show’s sound seemed to become better as it progressed (and better from the outset on repeated spins). But I know that what really happened was that my ears adjusted, while my sonic and visual imagination – in other words, the way I sensed the Stones actually must have sounded that night – augmented and enhanced the recording. Ahh, if only to have been there back then, I thought as I listened. For me, having that thought cross my mind is always a good litmus test of a whether an unofficial recording, imperfections and all, is worth hearing or having. If the drawback in audio quality sounds too much like a heartbreaker (or a deal-breaker), you may prefer to sit this number out. Me, I’m happy to have this rare chance to dance with Mr. D.
Mick Taylor, the greatest guitarist(not greatest influential) in history. Great article about the music, band, musicians, and era that was without a doubt the greatest. Richards sketches and supplies the song’s architectural skeleton and musculature: its heart, guts, and soul. Taylor’s cerebral, surgically precise playing, meanwhile – all connecting-tissue filigrees, sensory accents, and intricately routed solos – sends the lifeblood pumping through its circulatory system. The great thing about self-confidence is one doesn’t mind about being a minority of one. Read on, McDuffs. If anybody were to ask me which Rolling Stones album I’d recommend to someone who’d never heard them, I’d tell them not one but 2: December’s Children & Goat’s Head Soup. GHS is Exile w/a hangover. Balderdash about it being sub-par. The band wasn’t in the unenviable position of needing to deliver a smash hit for their tour, less than a year away. GHS is relaxed, the band doesn’t have to try, the music breathes. December’s Children runs the gamut of all Rolling Stones styles (w/the exception of Reggae). If I was asked to name ONE Rolling Stones track that tells the listener everything they need to know about the band, it’s the live cut of Route 66 on December’s Children. 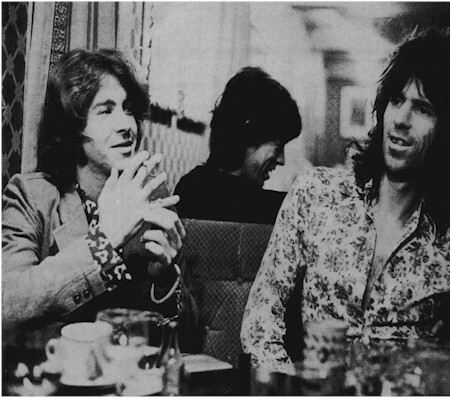 Listen (& listen again) to the guitar interplay between Brian and Keith. Listen to Mick’s vocals, wh. truly elevate him to the likes of Frank Sinatra. The vocal sounds tossed off, careless, by rote. That’s art, the appearance of something created that looks as though it took hardly any effort. I’ll save my opinion of what Exile really is because I’m afraid I’d be tarred and feathered. Thanks for weighing in with your thoughts and comments about a band always worth talking about, because there’s so much meat there. 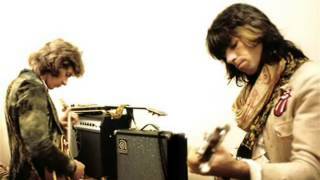 I too love Jagger’s take (and the whole band’s) on “Route 66″…pure adrenalin and attitude. For me, the only version that comes close to equaling it is the ’65 version the angry young Van Morrison cut with Them (the Stones recorded theirs a year earlier). As a stylist, Jagger has said that one of his earliest vocal influences as far as phrasing, timing, tenor, and delivery goes was soul singer/writer Don Covay, and those early records bear that out (“See-Saw” and “House of Blue Lights” are superb Covay albums). As for GHS, I’ve always liked it immensely and share your perspective. (And as I’ve said many times, it just sounds better with time and beats anything they’ve released in the past 35 years). Plus, besides the two or three obvious hits, it has at least one of my favorite Stones ballads: “Winter.” Fantastic lyric, vocal, instrumentation, arrangement, atmosphere, and presentation. If you haven’t done so yet, you might enjoy my other post “Seven For 70” I wrote for Mick’s 70th birthday, on the seven best Stones records NOT named Exile, ranked chronologically. Oh, and feel free to vote for your favorite…Thanks again for reading!